Regular physical exercise not only promotes a healthy body weight, but it also helps us live longer and more fulfilled lives. An active lifestyle prevents many diseases and illnesses while also encouraging the body as a whole to function at its best. Traditional Chinese exercises and meditations like Tai Chi and Qigong stimulate the flow of qi within the body, promoting natural weight management, and health. We encourage our patients to include these types of exercises and meditations in their daily lives in order for them to maintain or restore a healthy body. The ancient art of Tai Chi uses gentle, flowing movements to reduce stress and improve health. Tai Chi also helps to improve overall well being, increase flexibility, improve muscle strength and definition, and to increase energy, stamina, and agility. Tai Chi is a completely safe exercise and is perfect for people of all ages and fitness levels. Adding Tai Chi to your daily routine will greatly improve the quality of your life. It should be practiced along with a healthy lifestyle and a balanced diet in order to maintain the highest level of health. Qigong is a way of combining movement, breathing, and mental focus in order to stimulate the body’s qi. When the qi is stimulated, the meridian system functions as it does during an Acupuncture treatment, promoting self-repair and internal balance. In utilizing the meridian system, Qigong helps encourage the mind/ body/ soul connection, thus improving overall quality of life. Tai Chi is actually a type of Qigong, and there are many different Qigong practices making it an ideal exercise/ meditation for everyone. 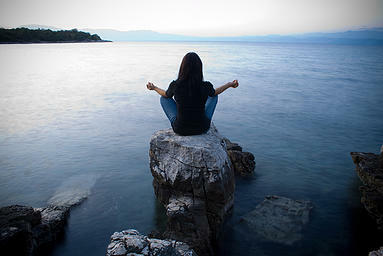 Qigong requires no special equipment or clothing and can be practiced anywhere.